Proenza Schouler top in Irish lace. Hook-and-eye trim at Empire waist. Lazaro Hernandez, who worked at Michael Kors, and Jack McCollough, who worked at Marc Jacobs, met at Parsons School of Design. They collaborated on a senior project that became enormously successful, and in 2002 they launched Proenza Schouler (a combination of their mothers' maiden names). The duo was immediately lauded by fashion's highest critics for their design prowess, fresh approach to modern luxury, and technical sophistication. 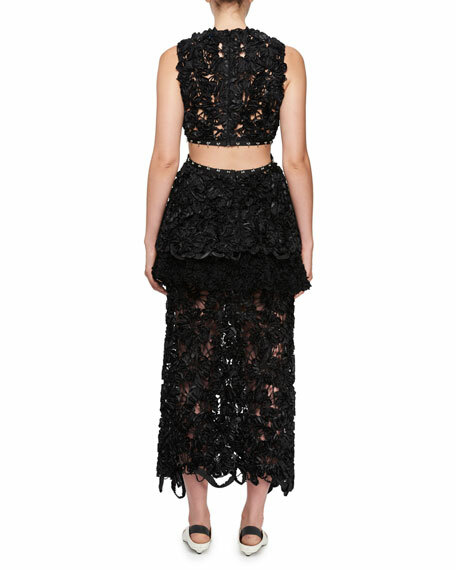 Proenza Schouler skirt in Irish lace. Peplum waist with hook-and-eye trim. 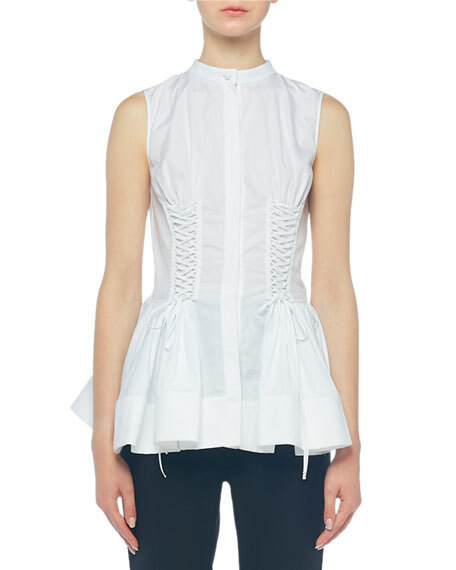 Alexander McQueen blouse in white poplin. Mandarin collar; button front. Sleeveless. Lace-up detail on front. Fit-and-flare silhouette. Peplum hem. Cotton. Made in Italy. 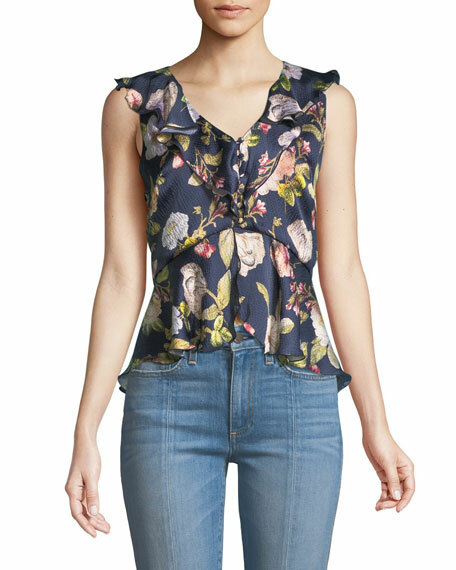 Alice + Olivia "Nora" blouse in floral-print hammered silk. V neckline; ruffle overlay. Button front. Sleeveless. Peplum waist. Slightly cropped. Silk; lining, polyester/spandex. Imported. Carolina Herrera shirt with lace stripes. Spread collar; button front. 3/4, bell sleeves. Slim silhouette. Subtle peplum hem. Cotton/nylon. Made in USA of imported materials. 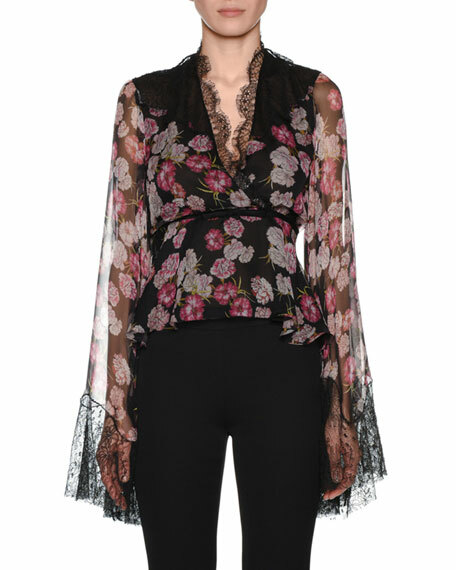 Giambattista Valli floral-print silk blouse with lace details. V neckline. Bell sleeves. Wrap belt. Slim fit. Slipover style. Peplum hem. Made in Italy.